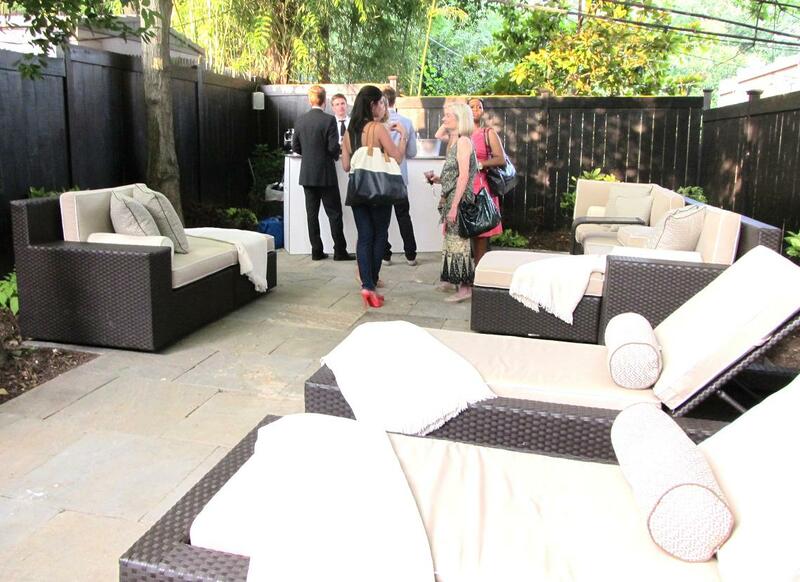 Georgetown's Nectar Skin Bar is a sanctuary in the city for fashionistas. 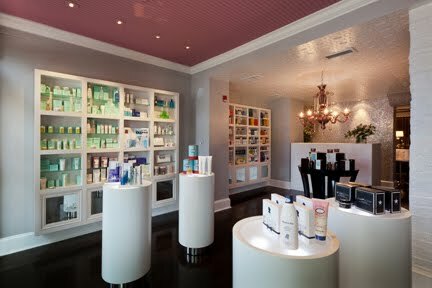 In addition to gorgeous treatment areas, Nectar is also a fabulous beauty store. You’ll love the retail products that Nectar offers customers. One of my favorite DC exclusives is GlamGlow, the mud mask that peeps in Hollywood use to maintain their radiant skin. I’m already looking forward to a makeup session with amazing artist Adrian, but I’d also like to try a LashDip treatment. LashDip mascara treatments, a Nectar Skin Bar exclusive, give wearers gorgeous lashes without mascara for up to six weeks. 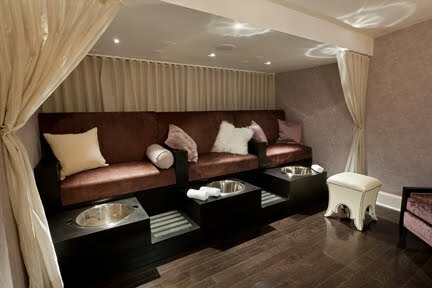 Or maybe you'd prefer a relaxing pedicure on the second floor retreat. Choose from a menu of spa pedicures with masques, scrubs, and oils to keep your toes sandal-ready all year long. Spa treatments at Nectar Skin Bar include Intraceuticals Oxygen Infusion facials and airbrush tanning that will leave you perfectly bronzed. Monica treated my arms and hands with some Prtty Peaushun for a gorgeous temporary glow. A tranquil outdoor garden is a perfect venue for spa treatments in fair weather. 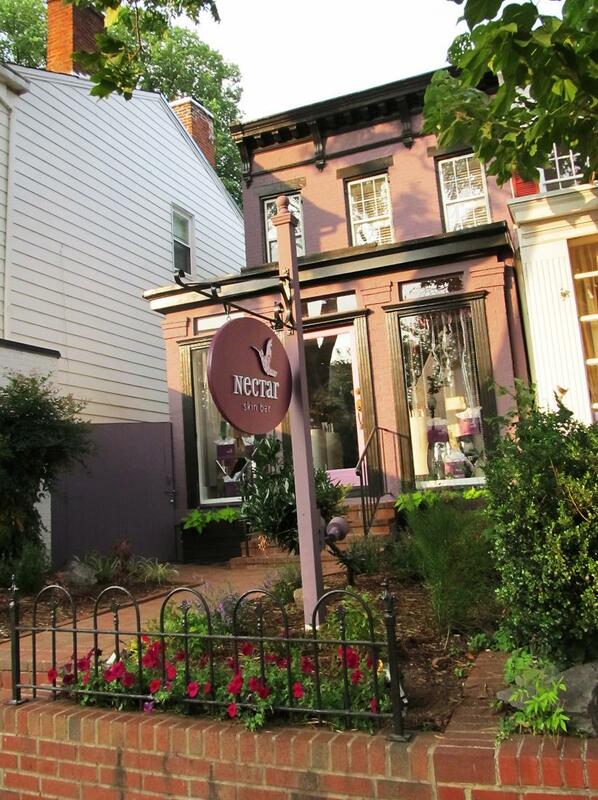 The next time you're in Georgetown, be sure to say hello to the peeps at Nectar Skin Bar. P.S. 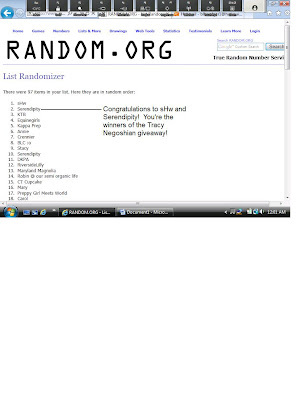 In other exciting news, I want to announce the two lucky winners of the Tracy Negoshian giveaway. 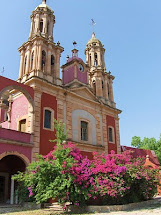 All entries were entered on random.org. 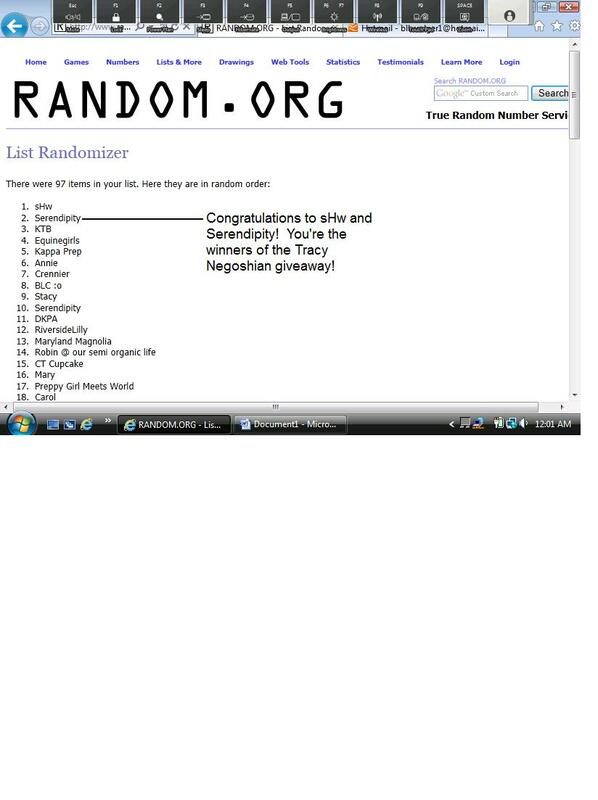 The top two names at the top of the List Randomizer won. Congratulations to sHw and Serendipity! Please email me at with your selection, size, and mailing address. this looks so amazing!!! I will have to check out. Maybe a gift card would be a nice Christmas present from my parents haha. Oh my goodness, I cannot believe you wrote a post on this! Both Brian and Amy (his wife and business partner) have stopped into Sassanova and they are such a delight! You should definitely do the LashDip, all the gals who have gotten it so far have raved about it. 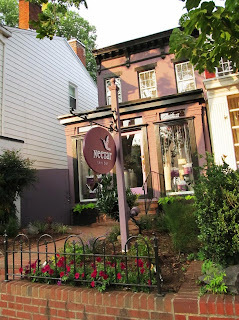 @SnailGal I had the pleasure of talking with Brian and Amy at Nectar and they are so lovely! Hey Lady! Seems like you had a fab time. 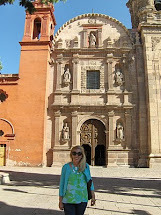 Welcome to the DCFABB group! If you're ever in Georgetown on the weekends, please stop in Sassanova! You've been in both of our neighbor stores (Sherman Pickey and Nectar), so you definitely pay a visit. The Bethesda store has a better selection for your girls clothing and accessories-wise, but I unfortunately don't work at that location! @Spitting Glitter! Thanks! So glad to join you. 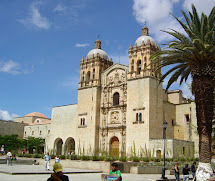 @SnailGal Ooooh, I'd love to visit Sassanova. Of course, I've been to the store at Bethesda Row and saw the sign when I went to Nectar and actually made a mental note to check it out when I had more time.